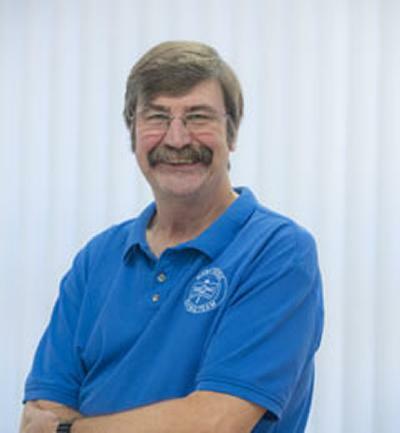 Dr Ken Collins is Senior Research Fellow within Ocean and Earth Science, National Oceanography Centre Southampton at the University of Southampton. Collins, K. J., & Baldock, B. (2007). Use of diving computers in brittlestar surveys. Underwater Technology, 27(3), 115-118. Collins, K. J. (2002). Environmental impact assessment of a scrap tyre artificial reef: introduction. ICES Journal of Marine Science, 59(Supplement), S1-S2. Bustamante, R., Collins, K. J., & Bensted-Smith, R. (2000). Biodiversity conservation in the Galapagos marine reserve. Bulletin de l'Institut Royal des Sciences Naturelles de Belgique, 70(Supplement), 31-38. Collins, K., & Griffiths, G. (Eds.) (2008). Workshop on AUV science in extreme environments: collaborative Autosub science in extreme environments. Proceedings of the International Science Workshop, 11-13 April 2007, Scott Polar Research Institute, University of Cambridge, UK. London, UK: Society for Underwater Technology. Griffiths, G., & Collins, K. (Eds.) (2007). Masterclass in AUV technology for Polar science: collaborative Autosub science in extreme environments. Proceedings of the International Masterclass, 28-30 March 2006, National Oceanography Centre, Southampton, UK. London, UK: Society for Underwater Technology. Marsden, P., Collins, K., Harrison, R., Mallinson, J., & Lewis, W. (Eds.) (2003). The Archaeology of the "Mary Rose" Vol. 1. Sealed by time: the loss and recovery of the "Mary Rose". Portsmouth, UK: The Mary Rose Trust Ltd.
Jones, M., Collins, K., & Mallinson, J. (Eds.) (2003). The Archaeology of the "Mary Rose" Vol. 5. For future generations: conservation of a Tudor maritime collection. Portsmouth, UK: The Mary Rose Trust Ltd.
Collins, K., & Mallinson, J. (2003). The "Mary Rose" site and environment today. In P. Marsden, K. Collins, R. Harrison, J. Mallinson, & W. Lewis (Eds. ), Archaeology of the "Mary Rose" Vol. 1. Sealed by time: the loss and recovery of the "Mary Rose" (pp. 71-75). Portsmouth, UK: The Mary Rose Trust Ltd.
Collins, K., & Knowles, B. (2008). Beneath the sheets: Autosub under ice - The highlights. In K. Collins, & G. Griffiths (Eds. ), Workshop on AUV science in extreme environments: collaborative Autosub science in extreme environments. Proceedings of the International Science Workshop, 11-13 April 2007, Scott Polar Research Institute, University of Cambridge, UK (pp. 187-188). London, UK: Society for Underwater Technology. Collins, K., & Mallinson, J. (2006). Use of shell to speed recovery of dredged aggregate seabed. In R. C. Newell, & D. J. Garner (Eds. ), Marine aggregate dredging: helping to determine good practice. Marine Aggregate Levy Sustainability Fund (ALSF) conference proceedings: September 2006 (pp. 152-155). Bath, UK: Marine Ecological Surveys Ltd.
Collins, K. J., & Mallinson, J. J. (2000). Marine habitats and communities. In M. B. Collins, & K. Ansell (Eds. ), Solent Science - a review. Proceedings of Solent Science Conference, Southampton, 29 September 2000 (pp. 247-259). (Proceedings in Marine Science; No. 1). Amsterdam, The Netherlands: Elsevier Science.